The era in which we currently live has been called a number of things, from the fourth industrial revolution to the information age to the Holocene Epoch of the Quaternary Period in the Cenozoic Era—well, that last one not as much, but technically speaking that’s our era. A description we’ll likely begin to hear more of is that this is the era of the candidate (or rise of the individual, as Josh Bersin said during his keynote at 2018 Total Rewards Conference), though if you’re a talent-acquisitions leader you may have been saying this for a while now. 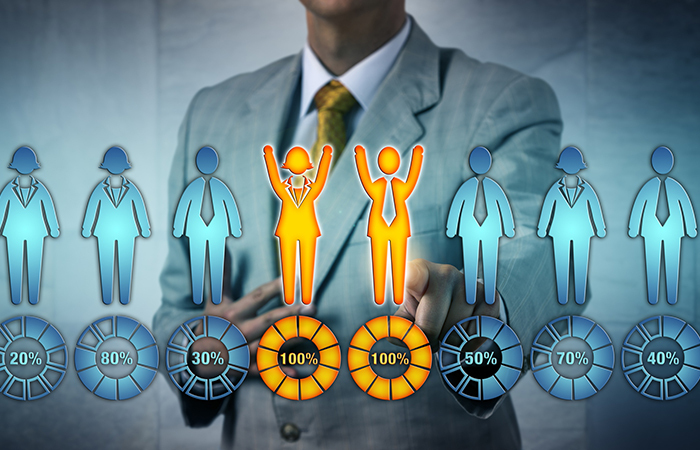 According to a report from Montage, 99 percent of 102 talent-acquisitions leaders (director-level or above) rated “the candidate experience” as a priority in their current roles. Other top concerns included diversity and inclusion and predicating future performance. Thanks to record-low unemployment, TA leaders are constantly modifying and improving hiring processes to remain competitive and attractive to job candidates. In the era of the candidate, these leaders can’t miss a beat or else they’ll lose out on top talent. One trend we’ll likely see more of is using recruiting technology to improve the candidate experience. This can range from automating the process of responding to applicants with AI or using machine learning to filter through applicant’s resumes.